Nothing beats a floor plan in giving a clear view on a property floor, with our floor planning programs and layouts, we are able to create the ultimate design for your property or space. We can assess your needs and find the perfect floor plan for you. Whether it's a 2-D or 3-D floor plan, we can design, create, and publish it for you. With our program we can also include furniture and utilities to give your floor plan that ready-to-go, realistic perspective. 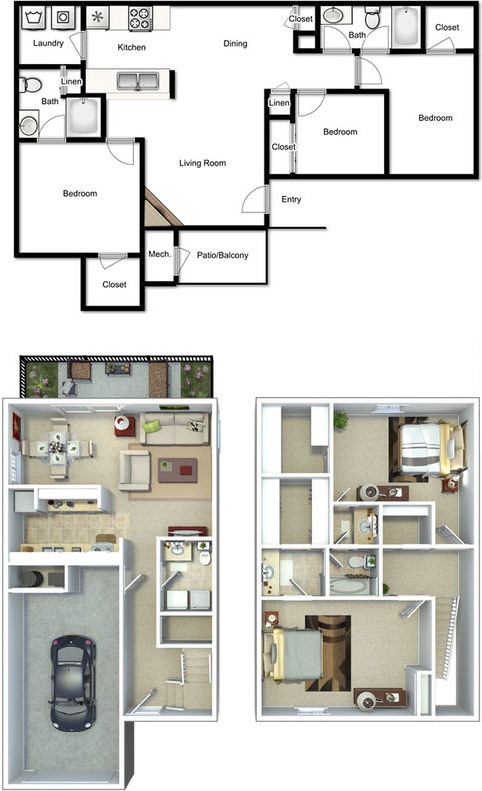 Our 3-D floor plan images can be added to your property website, brochure, advertisements, emails, and leasing office presentations.